Desilting work in progress at a culvert at Herman King Trace, Lowlands. Over the past four months, the Division of Infrastructure Quarries and the Environment has been working on several projects to improve Tobago’s drainage systems to mitigate against flooding in the rainy season and in height of the hurricane season. 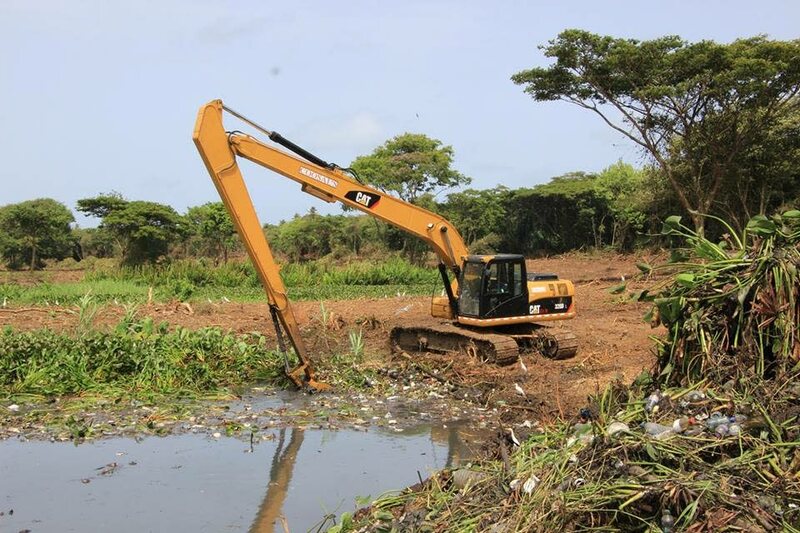 Secretary of the Division, Kwesi Des Vignes said the Task Force Drainage team has been collaborating with the Divisions of Health and Food Production to ensure the island was disaster proof. “As it regards to our draining systems, we know that some of the infrastructure is very old and have failed or failing in some areas but I think we will really be able to clear out some traditional problem areas,” he said. Des Vignes urged citizens to take responsibility for the safety of communities by ensuring the drains were not polluted with plastics and other material. “…When we did some work at Lowlands recently, it was alarming and heart wrenching to see the amount of plastic bottles that would have come down in the detention ponds,” he lamented. He also appealed to the public to dispose of their garbage properly, adding that pollution contributes significantly to flooding. Over the past four months, the Tobago Drainage Task Force has actively attended to flood prone areas in Tobago and implemented measures to mitigate flooding. See highlights of activities completed or in progress. Projects include clearing of clogged drains and routine maintenance by sanitation teams at Alfred Crescent, Mt. Pleasant Integrated Development, desilting of retention ponds at Kings Dwelling, Lowlands, clearing of clogged drains and removal of debris at the Port and Customs Street in Sacrborough, removal of debris in water courses near the Delaford Community Centre, and desilting of Charlotteville’s Managers River. Reply to "Drainage works to mitigate flooding"